Gas prices ticked up throughout Hawaii again during the last week and consumers in the rest of the country saw average prices increase, too,, according to the AAA Hawaii Weekend Gas Watch. Today’s statewide average price is $2.58, up two cents from last week, up two cents on this date last month and 56 cents less than a year ago, according to the AAA Fuel Gauge Report. In Honolulu, today’s average price is $2.39, which is three cents more than last week, up four cents since last month and 66 cents lower than last year. The Hilo average price is $2.59, up a penny from last Thursday, four cents higher than last month and 54 cents lower than on this date a year ago. Wailuku’s average is $3.12, the same price as last Thursday, one cent more than last month and 11 cents less than on this date a year ago. “While prices inched up locally, they are still much lower than last year at this time. 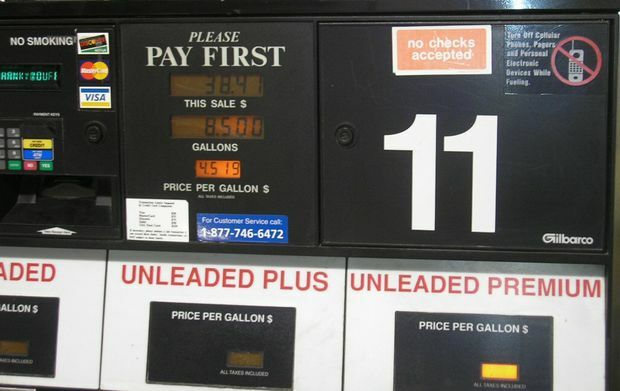 Americans paid the cheapest quarterly gas price in twelve years during the first three months of 2016 and have saved nearly $10 billion so far this year compared to the same period in 2015,” said AAA Hawaii General Manager Liane Sumida. “But average prices vary by 95 cents a gallon across the country. The five states with the most expensive prices include California ($2.79), Hawaii ($2.58), Nevada ($2.44) and Alaska ($2.29). Gas prices in the west are among the country’s highest due to fuel production pressures that push up prices,” she added.